Add a special touch of nature to your home by stitching this needlepoint brick cover canvas, creating a fabulous doorstop. 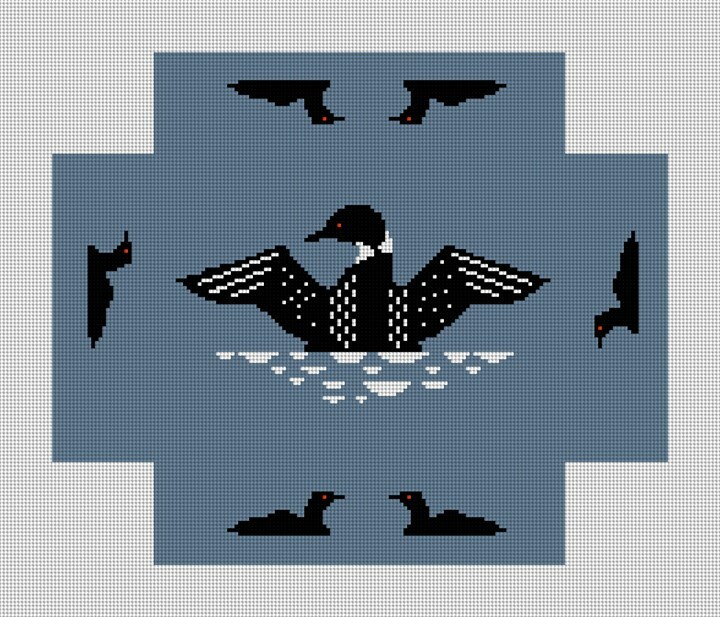 This brick cover features the beautiful Loon, representing a symbol of the wilderness; with its harmony, peace, and generosity. Please let us know if you would like to change the background color to compliment the colors in your home. This canvas is designed to fit a 8" x 3.5" x 2" inch brick. Be sure to measure your brick before you place your order, as bricks can vary in size.